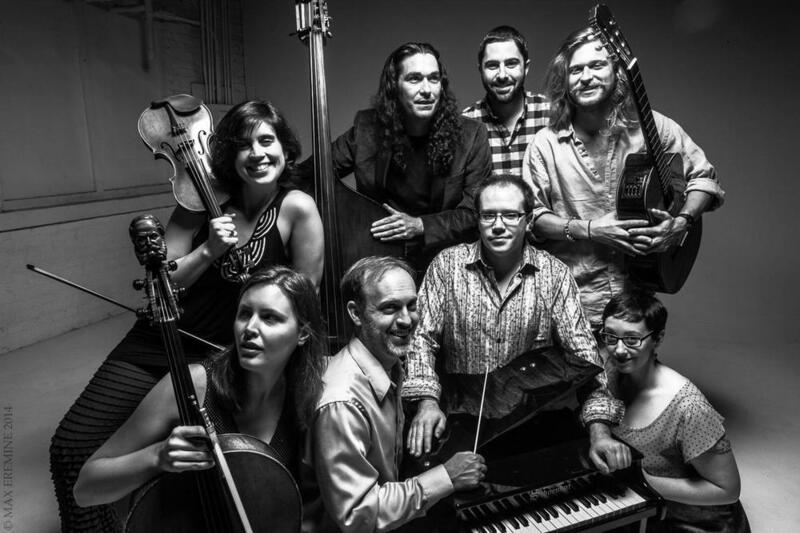 Chamber Cartel is a band of gifted musicians dedicated to finding the rare, wonderful, imaginative, and beautiful in Contemporary Chamber Music. Chamber Cartel truly enjoyed our collaboration with our 2017 Composer-in-Association Aaron Jay Myers that culminated in a full length album of Aaron's works. Check out ...But I'm Doing It Anyway now! Based in Atlanta, we have been hailed as “the darlings of Atlanta’s [New Music] scene” and “contemporary classical heavyweights” by the Goat Farm Arts Center. Having a flexible instrumentation, Chamber Cartel has performed over sixty concerts of unique programming since 2012 and commissioned twenty new works. The Cartel has collaborated with artists such as nobrow.collective, Stacey Mastrian, the A/B Duo, Bent Frequency, Stephanie Aston, Peter Ferry, CORE Performance Company, Lotte Betts-Dean, Transient Canvas, and Sonic Generator. In April of 2014, Chamber Cartel was selected to perform at the Northwestern University New Music Conference in Chicago. We have also appeared as featured ensembles at the Southeastern New Music Symposium at the University of Georgia and the University of Florida New Music Festival. In January of 2016, Chamber Cartel performed Morton Feldman's beautiful five hour long work, For Philip Guston, at New Music Gathering 2016 in Baltimore. Throughout our time as an ensemble, we have been fortunate enough to give the Atlanta premieres of truly wonderful pieces such as Le Marteau sans Maître, Tongues, The Brightest Form of Absence, For Philip Guston, Vexations, Pleiades and many others as well as from composers such as John Luther Adams, Giacinto Scelsi, Morton Feldman, Franco Donatoni, Mauricio Kagel, Erik Satie, George Crumb, Jason Eckardt, Marc Yeats, and Iannis Xenakis. Chamber Cartel has produced three studio albums and an EP. Interiors, featuring the music of Atlanta composer Adam Scott Neal and The Shape Distance, featuring the music of English composer Marc Yeats, as well as A Million Acres of Sky by Connor Way. Our newest album, ...But I'm Doing It Anyway feature's the music of The Cartel's 2017 Composer-in-Association Aaron Jay Myers. Support the amazing New Music we perform in Atlanta by donating to us today! We are an officially sponsored Fractured Atlas Project and all donations are tax deductible. Please join us in making the rare, wonderful, beautiful, and imaginative possible!